The Ordinary Life of an Extraordinary Girl: What does understand really mean? What does understand really mean? 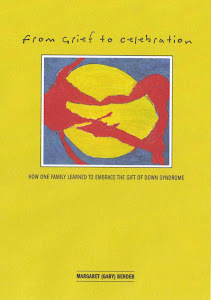 For the next few days I will be republishing chapters from “From Grief to Celebration, How One Family Learned to Embrace the Gift of Down Syndrome”. The book is organized into our actions or verbs we used to navigate through Alex’s younger years. Chapter 6 or Verb 6 – understand is not an active part of my life anymore. Sure when I talk to Alex on the phone I still need to ask her to slow down so her speech is clear and for her speech therapy should be a lifelong pursuit. This was written almost three years ago and in the recent year understanding others has not been a part of our lives. Sure, I know many others felt that sending Alex to college was a waste of money, and understanding their feelings behind this was important. But in the end it was her choice and others opinions really did not matter nor impact Alex’s dream. Understand applies to Alex and the people we come across in our daily life. The Alex part is easy to reconcile, the people we come across more difficult. Still understand is part of my vocabulary and an important part of who we are as a family. For Alex understand has two application; her behaviors and her speech. I believe her behavior is all about how she feels about herself and when she becomes frustrated she acts out. It has been quite interesting to watch Alex learn. Although, I still do not know exactly what makes the synapses in her brain connect, I do know they connect at a different speed than mine. The whole process is fascinating. I am always trying to figure out what makes Alex tick, what I can do to help her learn a new skill: what connection do I have to facilitate in her mind for something to make sense to her. I often need to remind myself that she is different than me, or my other kids. I try to step into her shoes, I know this will be a puzzle to me for a long time. But, I know she is entitled to all the academic privileges of any child. This has become my mantra. As far as speech, my mantra is speech therapy, speech therapy and more speech therapy. I believe, the clearer the diction and the better constructed Alex’s sentences are, the less "prejudice" she will encounter in her life. I use prejudice here – because I do feel that in some cases language abilities are sub conscience indicators to others, of cognitive abilities. Once again I try to understand others. Alex is very adept at compensating, something a very intuitive speech therapist helped her master. To this end, Alex has developed her own language expressions she uses when she is stuck. Most of these sayings are really good tactics to help her get her thoughts together. It gives her mind and mouth time to catch up. I find humor in her remarks and comments. This is only the tip of the iceberg - Alex has a response for everything - she makes us laugh and she makes us cry. It took me a really long time to understand how others perceived Alex; not from lack of compassion but from ignorance of Down syndrome. In my mind ignorance can be addressed and we try to educate the uneducated at every chance. Research, incorporate, promote and include all helped us to reach understand and it is the one verb I use every day. We have met many people through, or I should say because of Alex. Most of these people have been kind and supportive, but not everyone is, so I try to understand. Following are my top twelve irritating questions/statements. I believe these comments are based on ignorance and I try to respond from that perspective, but it is sometimes very very hard. The following I do not find as offensive, only misguided. These are questions that are often asked when we are in a store or in other public places. My response is always “ask her”. Sorry, we know lots of people that are raising children with special needs and they come from all walks of life. John and I are no different than any other parents. We love our children, not matter who they are and work to provide them with the best future we can. Huh? What the heck does this even mean? 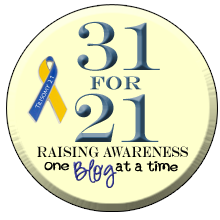 We have a child with Down syndrome that is the only difference between us and other families. I can argue that all kids can cause family angst. I try to find the humor in everything, which is usually easy, but mostly I try to understand and be thankful we have so many great people in our lives. Laugh is a verb I did not include, but perhaps should have!